The eternal city is a picture-perfect blend of the ancient and the modern – amidst a vivacious and forward-looking social fabric, Rome’s golden past is never too far away. Mind-blowing relics pop up at every corner in Rome. And among these incredible historical sites, the Colosseum is one of the most recognizable and admired structures in Italy’s capital. Right at the heart of the city, the crumbling ruins of the Colosseum stands as a reminder of the glorious times gone by – an age where beauty and brutality were both in excess! 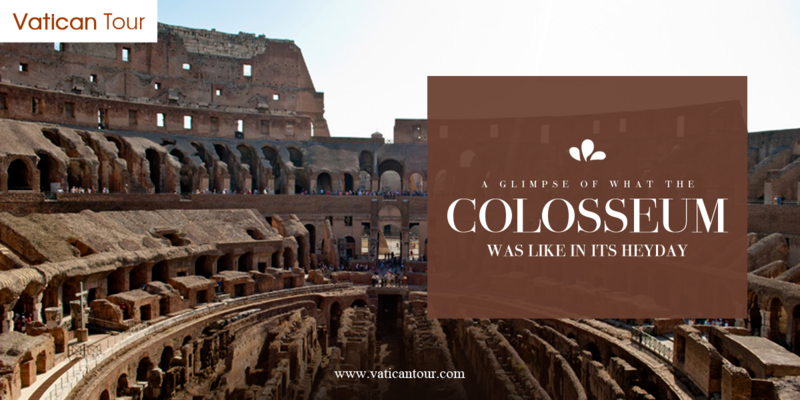 To fully visualize what the Colosseum was like two centuries ago, you need to let your imagination run wild! Without further ado, let’s go back to the heyday of the Roman Empire, peel away the layers of history and catch an insightful glimpse of this exceptional edifice! The Romans were world-famous for their grand gestures, and the Colosseum is a key example of that trait. 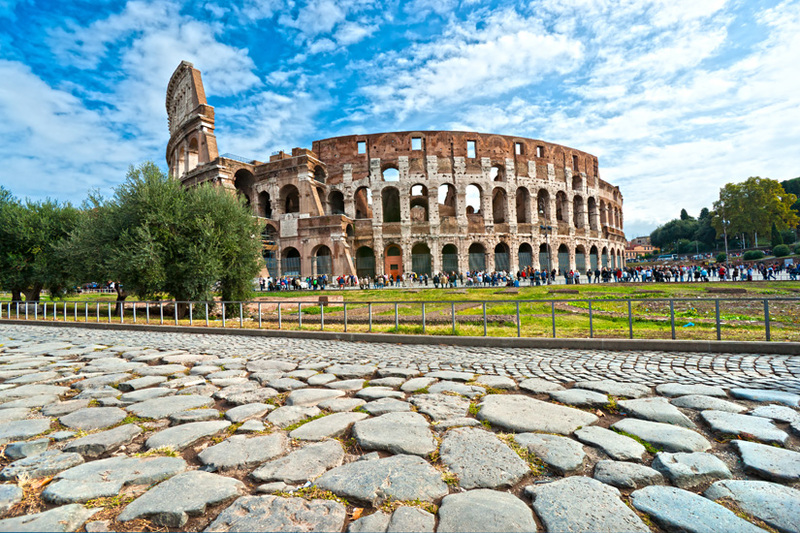 Completed in 80 AD, the Colosseum is the largest Amphitheatre to be ever built in the world! The building was originally named the Flavian Amphitheatre and its construction began in 72 AD under the reign of Emperor Vespasian, who wanted to encourage a sense of community among Roman citizens. Since Vespasian had passed away before the completion of this masterpiece, his son Titus inaugurated the amphitheatre and declared hundred days of incessant games. Standing tall at 160 feet, the Colosseum is truly the epitome of Roman imperial might! The marvellous ruin we see today is a mere shadow of its original grandness. With over eighty entrances and massive archways packed with statues, the Colosseum was truly a breathtaking wonder! The arena had three tiers and could house over 50,000 spectators at once. The spectacles were open to all, but seating was always in accordance with social status. The Emperor obviously got the best spot complete with a special podium. The next best seats went to the senators, followed by the nobles and knights. The poorer the people, the further away they sat, and the slaves were relegated to the topmost level. The Colosseum was like a temple dedicated to valour and violence! It was the premier venue for gory shows. Bloody gladiatorial fights, state executions and wild animal hunts entertained the energetic and noisy crowd from dawn to dusk! During the opening games that lasted for hundred days and nights, thousands of gladiators, prisoners and wild animals, including lions, bears and giraffes were slain for general enjoyment. Sometimes mock naval battles were arranged where the entire Colosseum would be flooded by an intricate system of canals, and whales and crocodiles would be slaughtered too. 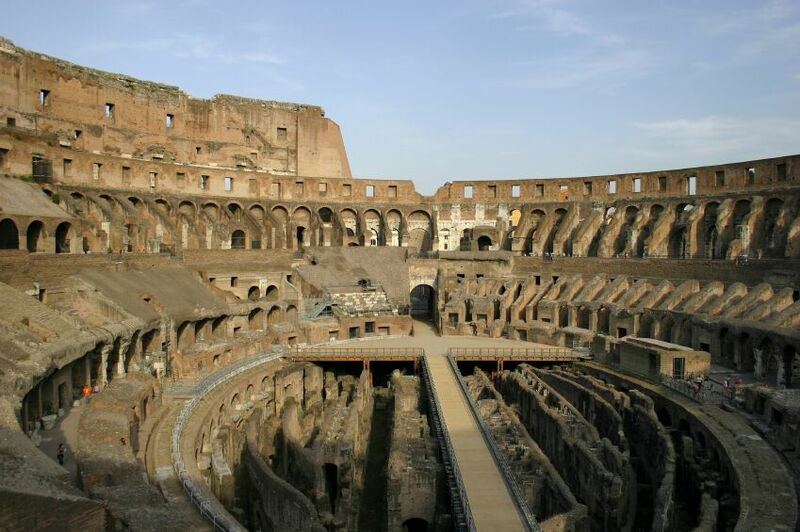 The Colosseum’s underground served as a backstage for the brutal pageants that went on in the main stadium. It was the place where fighters patiently waited for their triumph or death. It was where wild beasts were caged. It was from where the mechanical lift was raised to present entertainers at the centre of the crowd, impressing them further! The floors were coated with sand to avoid slipping and also absorb spilled blood. This hub of horrific entertainment didn’t last forever. However, its enthralling stories will forever stretch the imaginations of enthusiastic travellers! In 404 CE, the gory games were put to an end by Emperor Honorius. This was followed by a period of degeneration and neglect. However, enduring earthquakes, unfavourable weather conditions and modern day pollution, the Colosseum still stands strong. 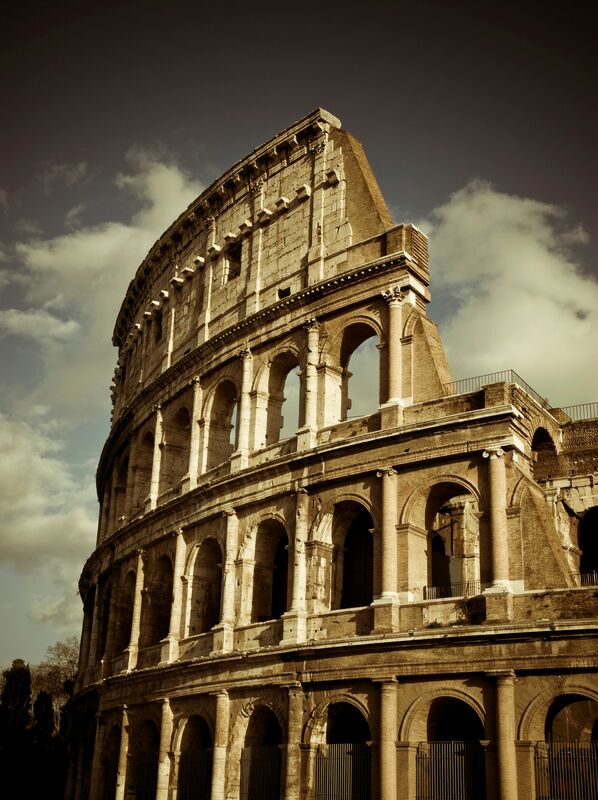 Colosseum Tours are a must for all visitors to Rome! It’s a one-of-a-kind experience to explore the ruins of this special monument while enjoying a gripping narration of its history by skilled tour guides. So make sure you book our special tours of the Colosseum and feel the thrilling setting first hand!